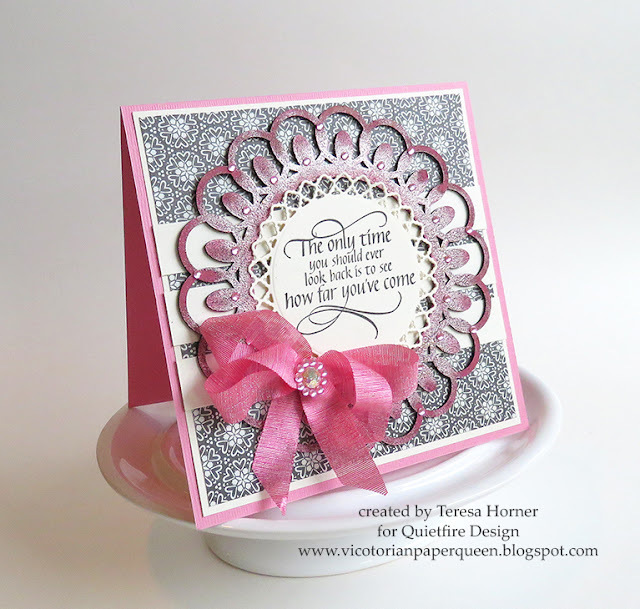 Yogi here today and I made a top fold card... a rare occurrence for me. 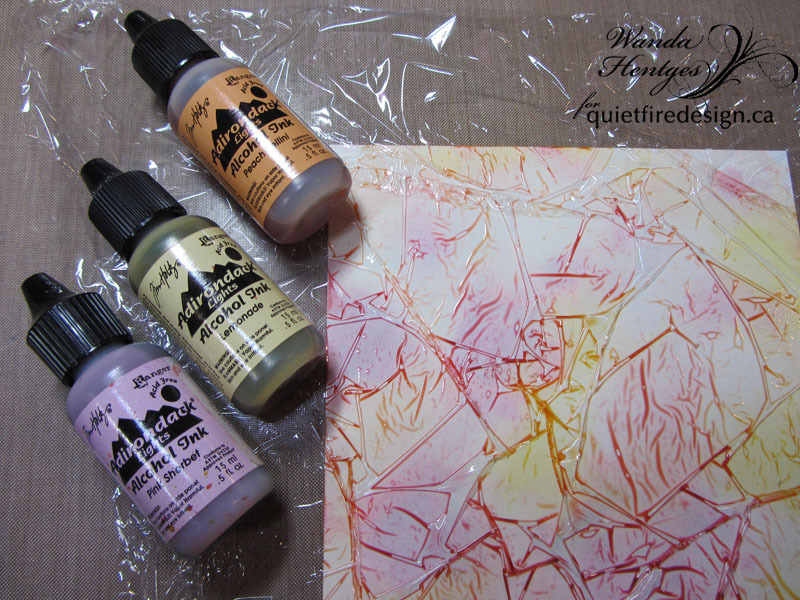 I was gifted with a sampler pack of cardstock and papers in various colors, such beautiful pearlescent and metallic papers. I'm using 3 from the sampler pack.. 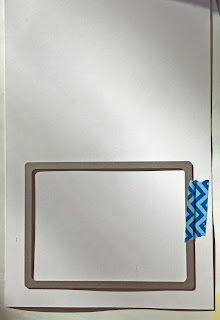 Scored and top folded my white cardstock. 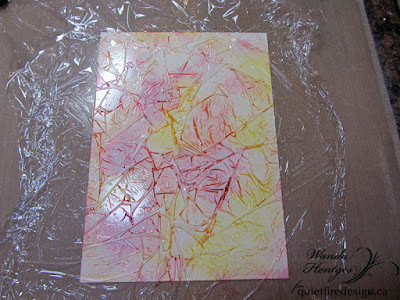 I cut a piece of Stardream "Azalea", same size as card front and adhered this deep pink to front. 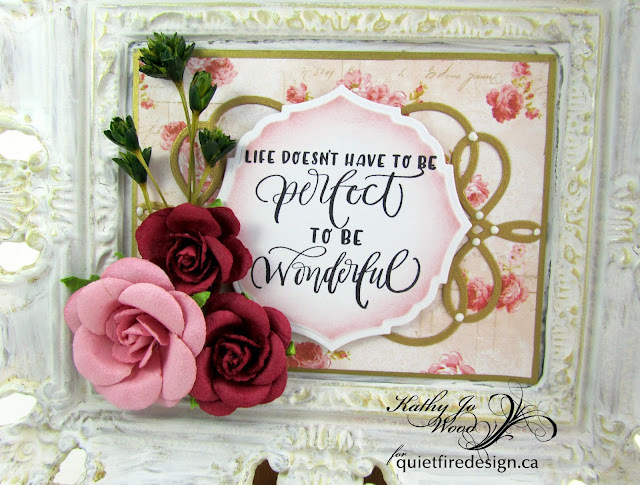 Cut a piece of Stardream Rose Qurtz (light pink) a touch smaller than card to have a border around the edges of the deep pink. Die cut the rose design (Sizzix Tim's "Mixed Media #5) and adhered to front. 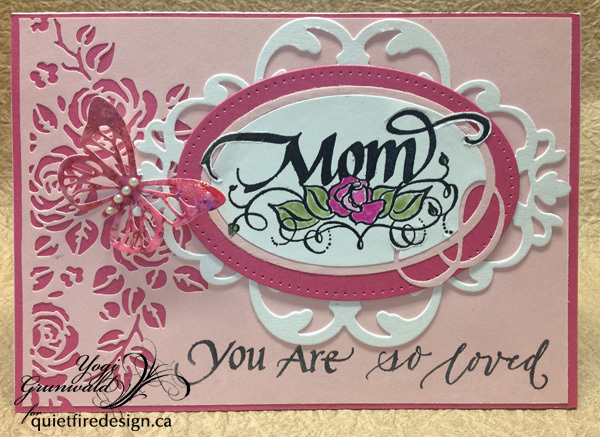 Stamped the "Mom/rose design onto white cardstock using Versafine Black Onyx and clear embossed. Painted the flower/leaves with watercolors. Fussy cut around some of the flourishes and positioned my oval flourish die, placing the cut flourishes above the die so they wouldn't be cut off. 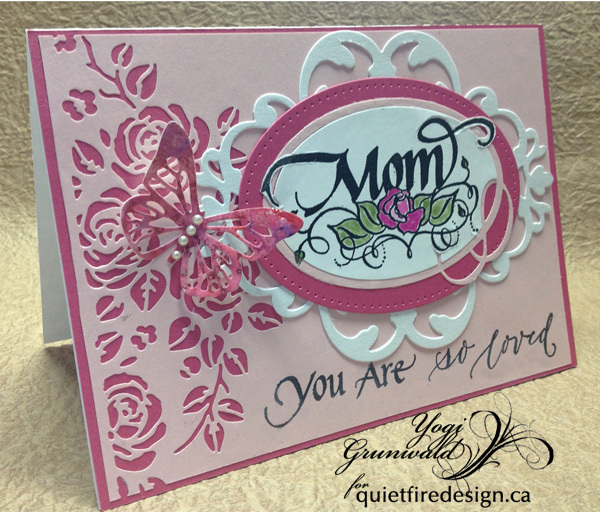 I had some Brusho/Colour Burst decorated cardstock in pinks and die cut the butterfly. Adhered to front and added some white half pearls to the body. Yvonne here sharing a card using the Quietfire Design stamp "Sometimes I Just Look Up". 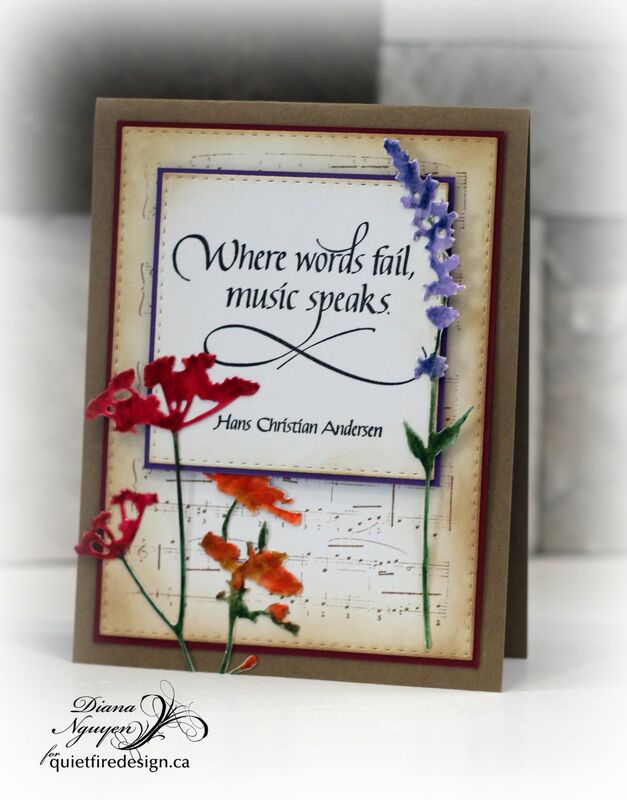 Thank you so much for creating this lovely stamp! 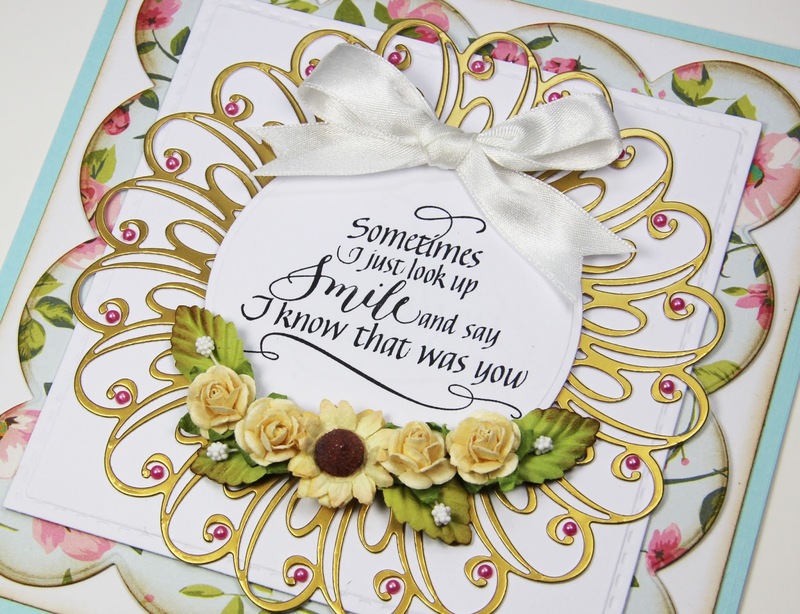 Simple stacking of several die-cuts and adding sunny flowers complete the card. 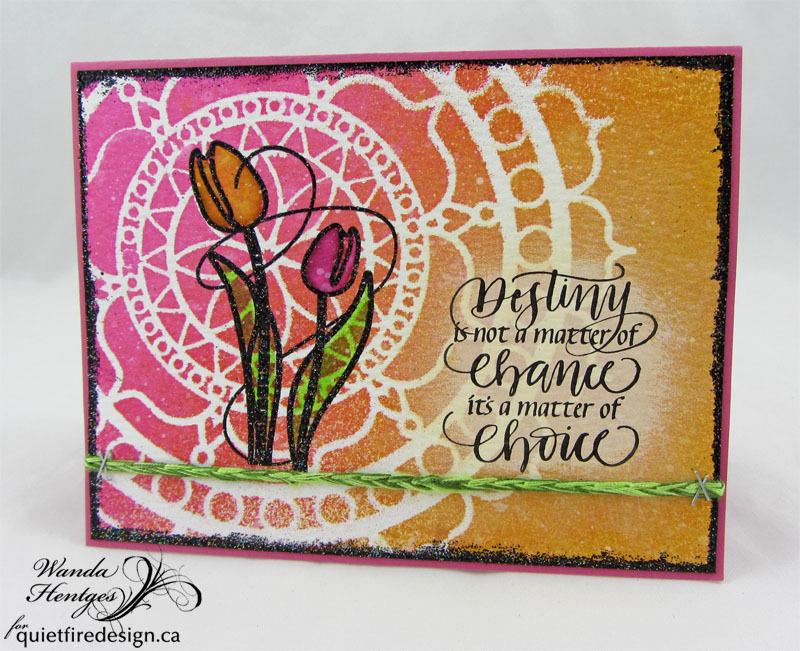 To make this card, I used the Neat& Tangled Calthea set. It's not my usual style to purposely do a loosely stamped background (because most crafters enjoy a nice dose of OCD). 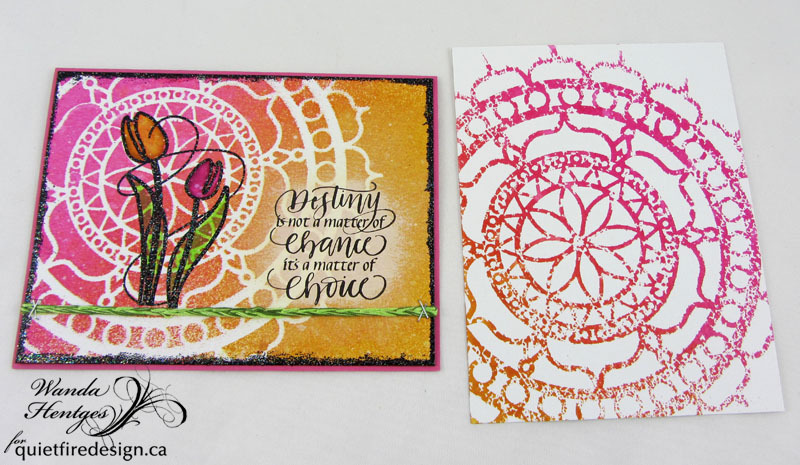 I added some splatter to my watercolored/stamped background. 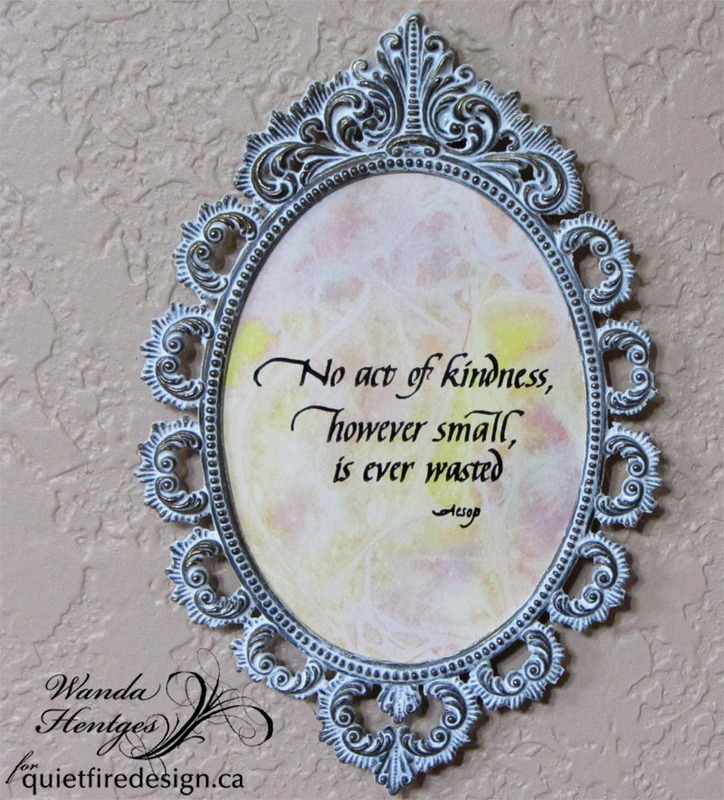 The sentiment was stamped in black Versafine and framed with a light green matting - same as the card base. 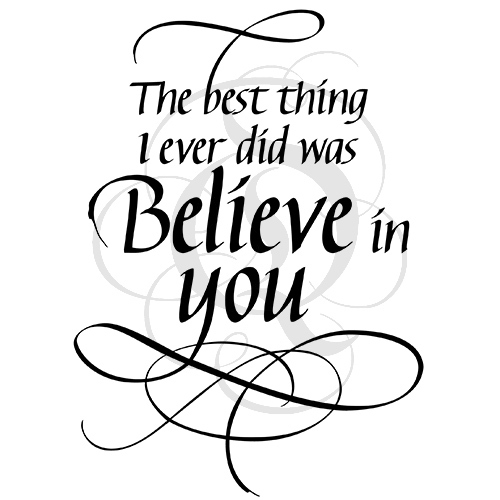 Thanks so much for looking and I hope you find the wonderful in your life! 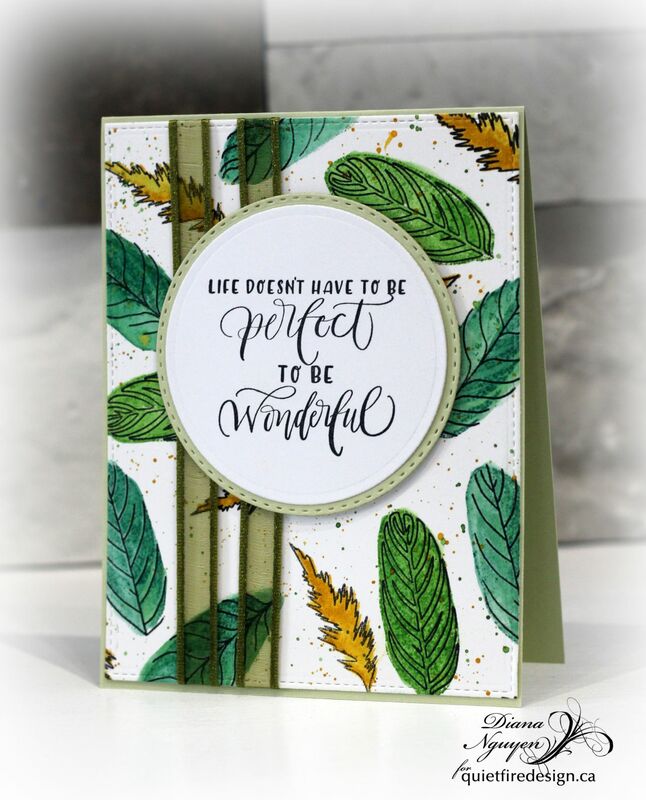 This month is a great month at Quietfire Creations: we are sharing projects using Quietfire Design's new stamp release. 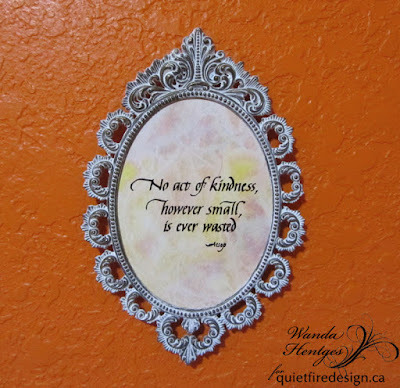 We are also creating Quietfire Design projects incorporating a frame. I like to upcycle so I chose an old, tired frame to make new again. 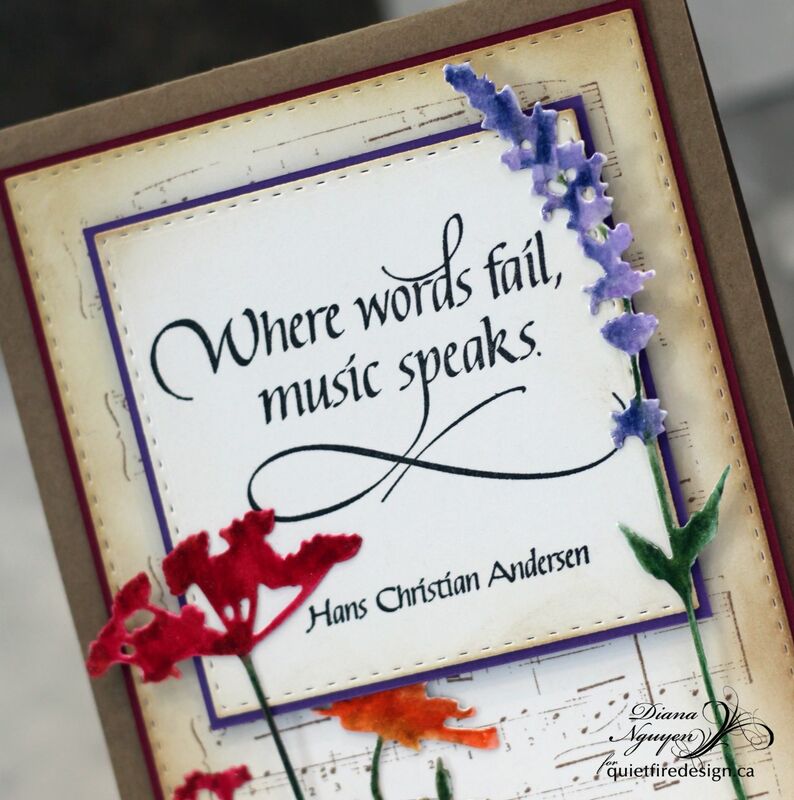 Stamp quote onto white paper and die cut. 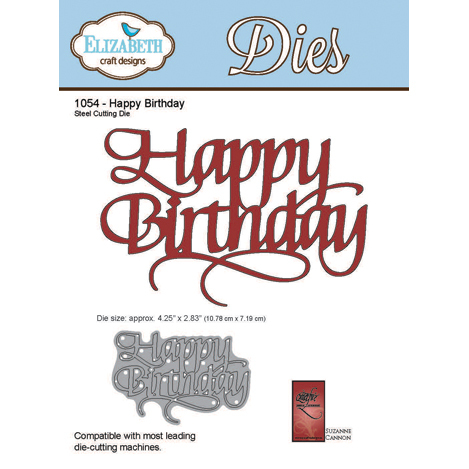 Apply ink to die cut before removing from the die. 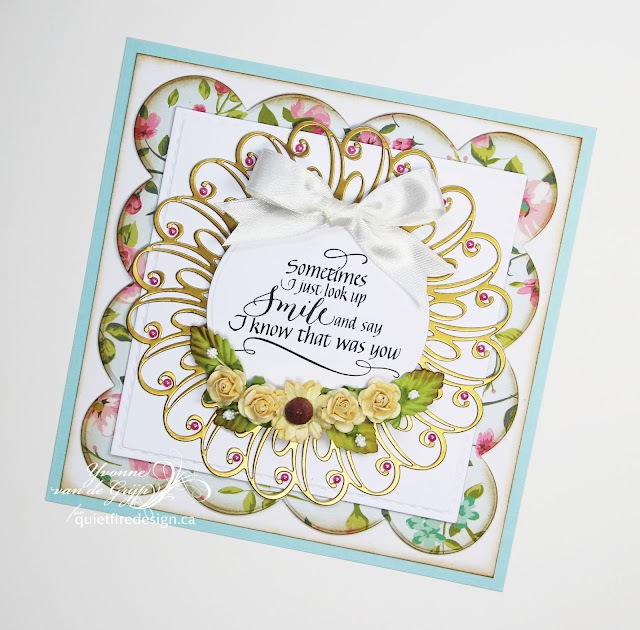 Cut patterned paper to size and apply gold marker to edges. 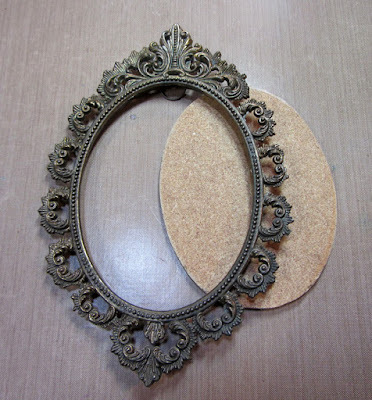 Adhere to frame base using liquid adhesive. 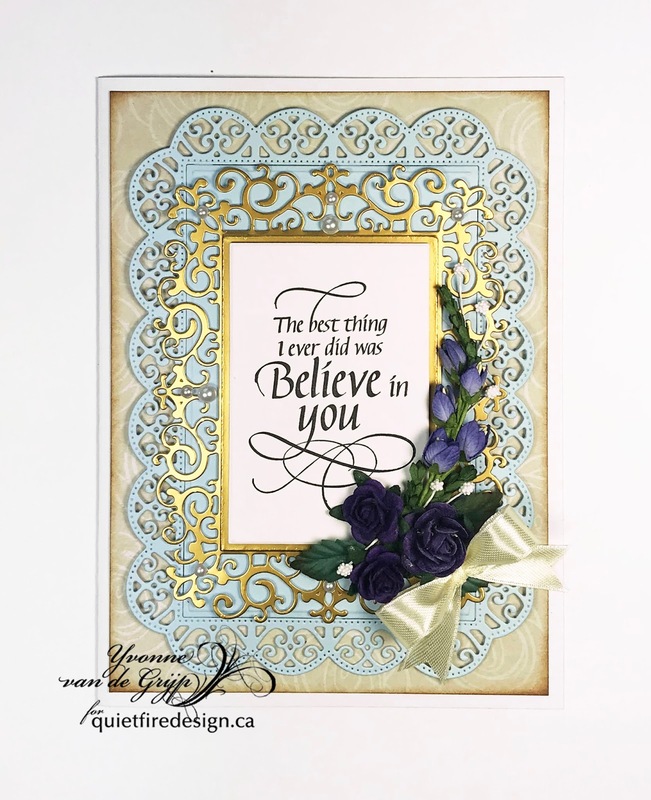 Mount gold die cut using liquid adhesive. 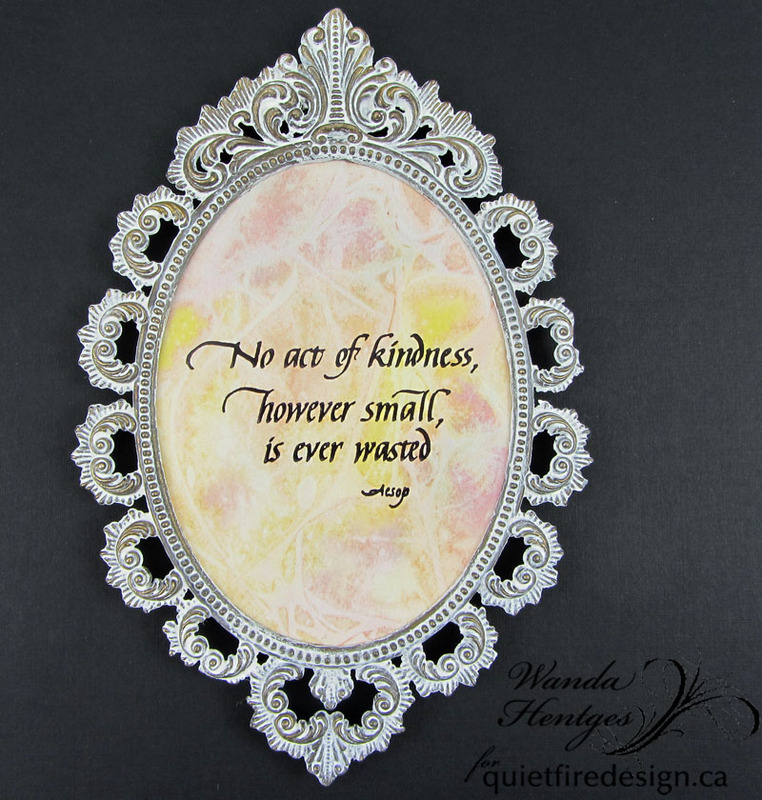 Adhere quote using double sided foam tape. 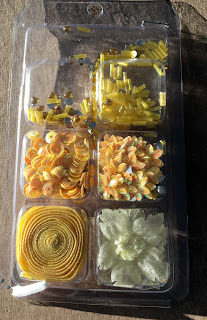 Use liquid adhesive to adhere flowers. Apply liquid drops to create pearls. Isn't is a beautiful stamp? It feels good to bring new life into an old item! Have you tried Quietfire Design stamps on an upcycled project? If so, we would love to see it! 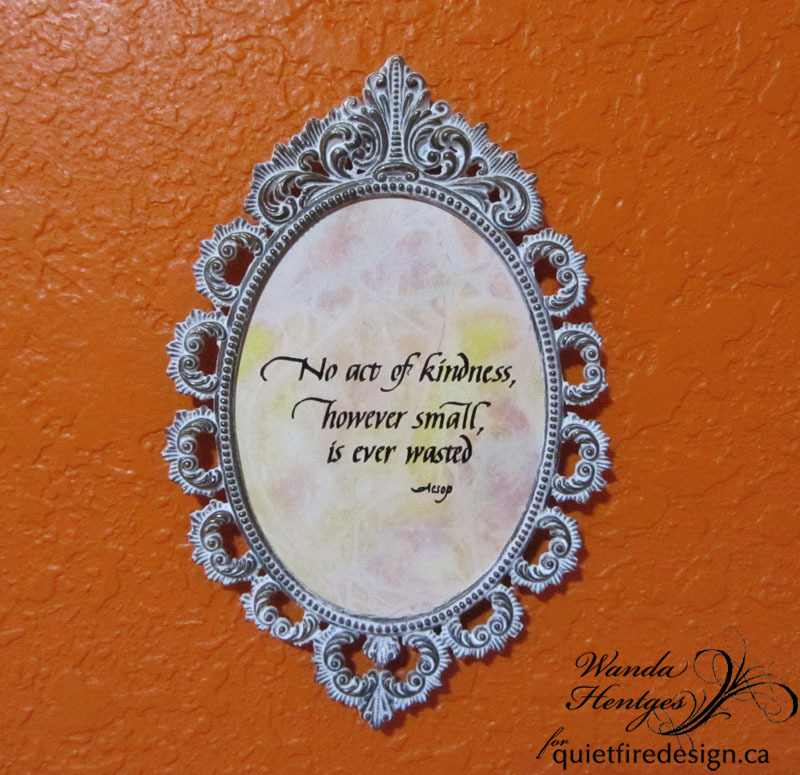 Feel free to share on Facebook, Twitter or Instagram and tag Quietfire Design. 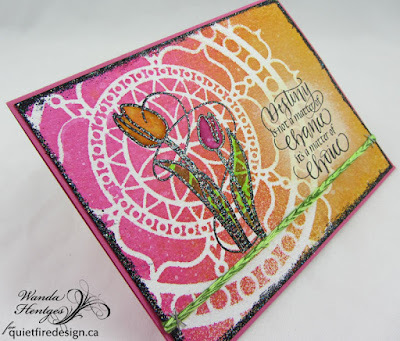 Talking about sharing, did you see the video I shared opening the package containing the new release stamps? So many wonderful stamps!!! 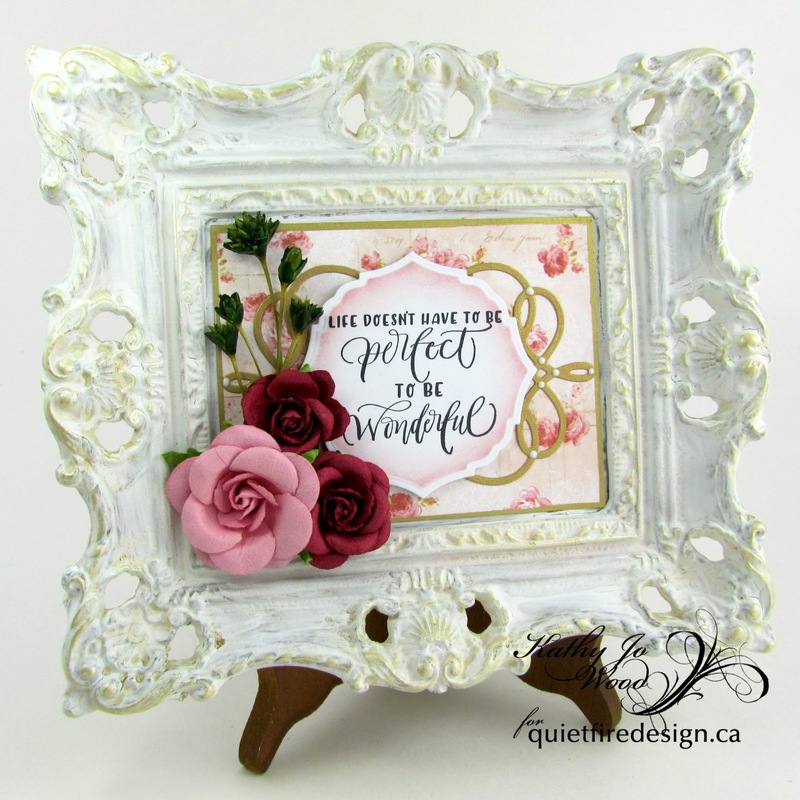 A big thank you to Judi Kauffman for standing in for this month's Elizabeth Craft Design's Designer Challenge! This month's challenge was to create something using the Scissor Spring Mechanism and Judi has created this beautiful heartfelt project that is lighthearted, too. For today's challenge Elizabeth Craft Designs is giving away a $20 Gift Card to use on their website to 3 winners. To enter simply leave a comment on the Elizabeth CraftDesigns Facebook Giveaway Blog Post or the Elizabeth Craft Designs Challenge post and tell us What Elizabeth Craft Designs dies or stamp sets would you use with the Scissor Spring Mechanism die set to create a card, scrapbook layout of home decor item? 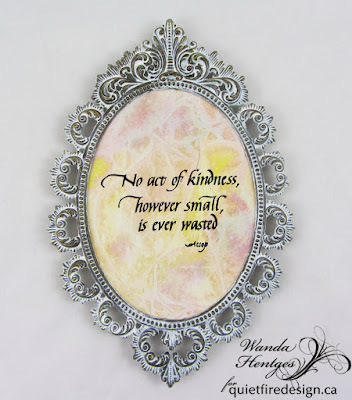 The winners will be announced on Friday, April 20th on the Elizabeth Craft Designs Blog and our Facebook page. And now to Judi's project! I knew immediately that I wanted to make something for a childhood pal who has just gotten a scary health diagnosis, hence the words Faith, Hope, and Courage. 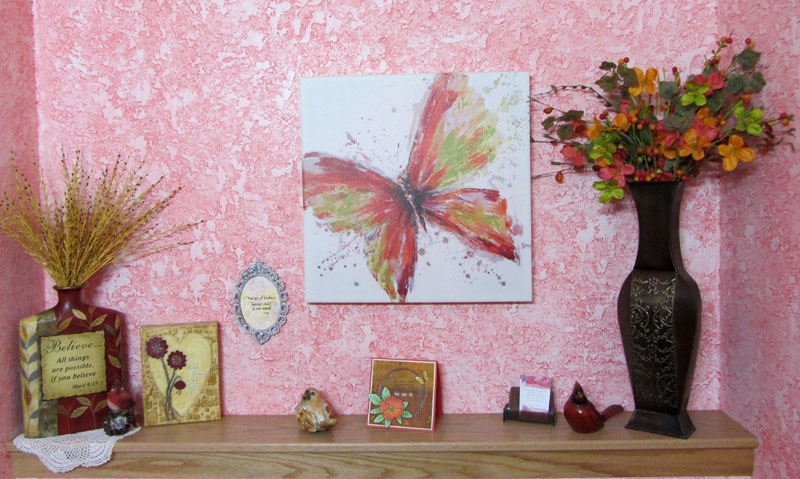 I added a butterfly because of the lightness and beauty it provides and chose spring colors to match the optimistic nature of the season. I decided to die cut the scissor springs from Shimmer Sheetz because it’s so sturdy – (it’s Mylar), and used Shimmer Sheetz to add sparkle throughout the project in other ways, too. 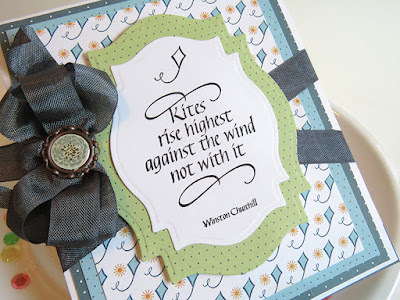 Tip: Practice with cardstock first to get the hang of how to assemble and fold the mechanism. 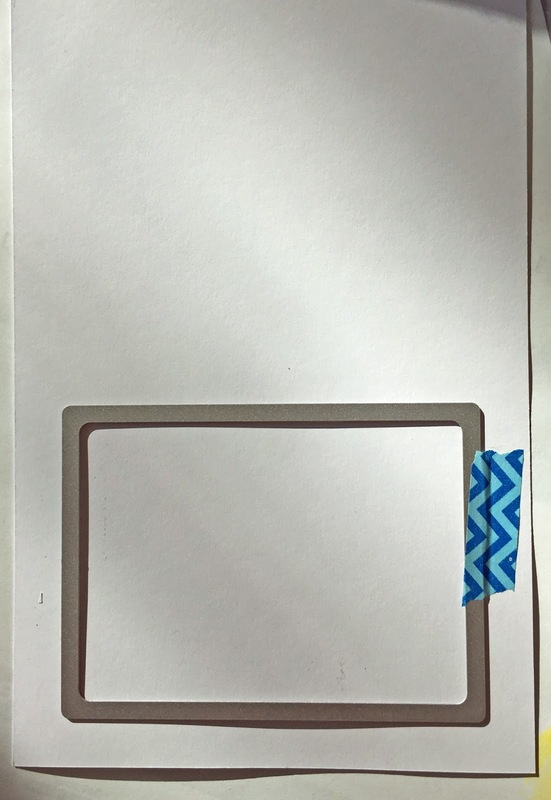 When the card is closed it wants to pop open all by itself, so I’m going to hold it flat for mailing with a large star-shaped paper clip – though I’ve been thinking that perhaps a ribbon or cardstock band would be good alternatives. What do you think??? I chose the Dashing Circles die set for the shaped card. 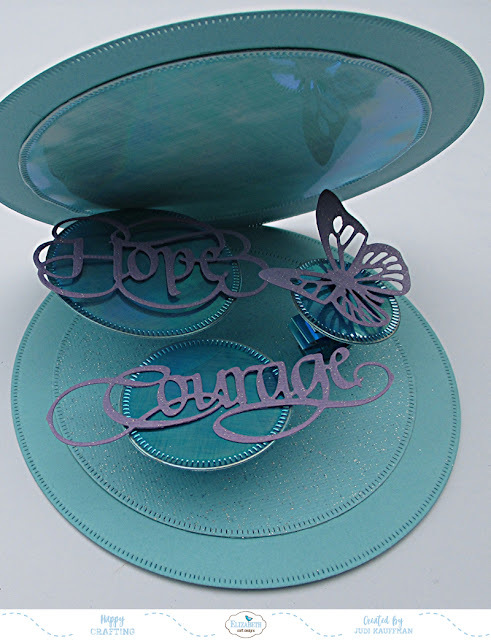 The card base, the decorative circle on the card front and beneath the springs are glittered cardstock, as are the words Hope and Courage and the butterfly. 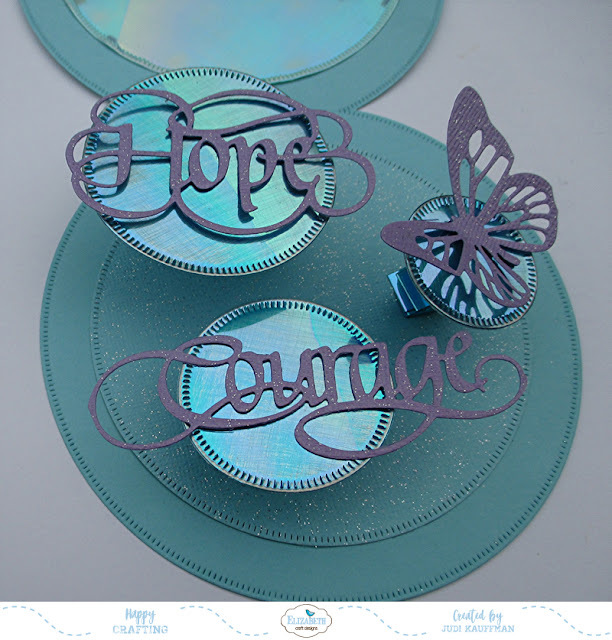 The sparkly circle that lines the inside flap (the top part of the card when it is open (see photo below) and the equally sparkly circles that hold the words and butterfly are Shimmer Sheetz. 1. 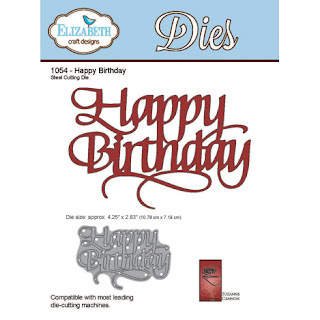 You MUST use a metal adaptor plate or Big Shot machine with Precision Base Plate to die cut Shimmer Sheetz. 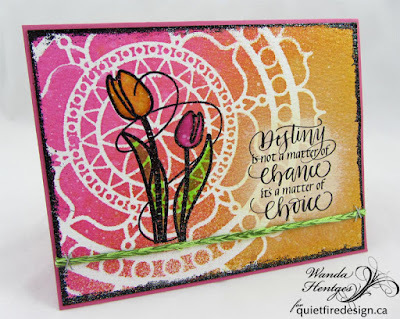 Review Els van de Burgt’s YouTube tutorial if you are new to this technique. 2. 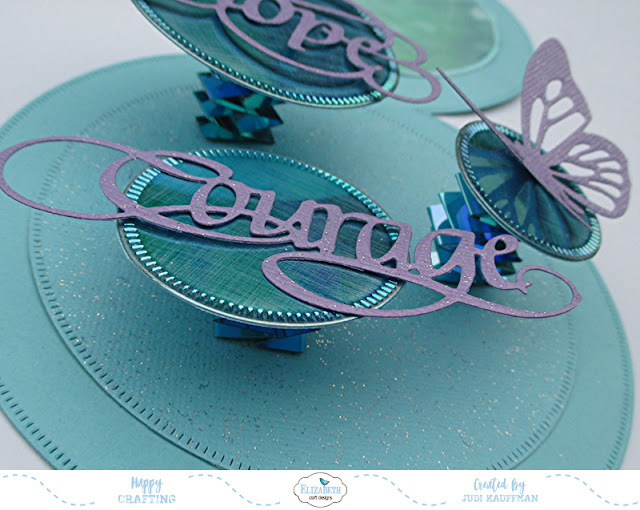 Do NOT try to glue the Scissor Spring Mechanisms to the card and to the circles with wet glue. Use snippets of Tombow Xtreme Adhesive Tabs (cut with non-stick scissors). They are the perfect choice and hold like a bulldog with a bone in its mouth – not letting go! 3. 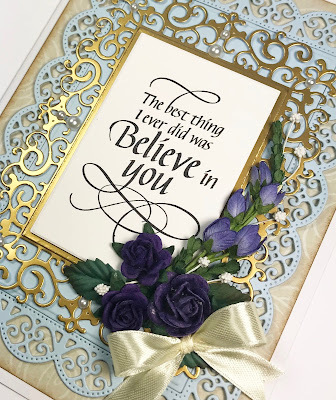 The card base is die cut with the fold positioned inside the die during cutting, leaving a 2” fold across the top. 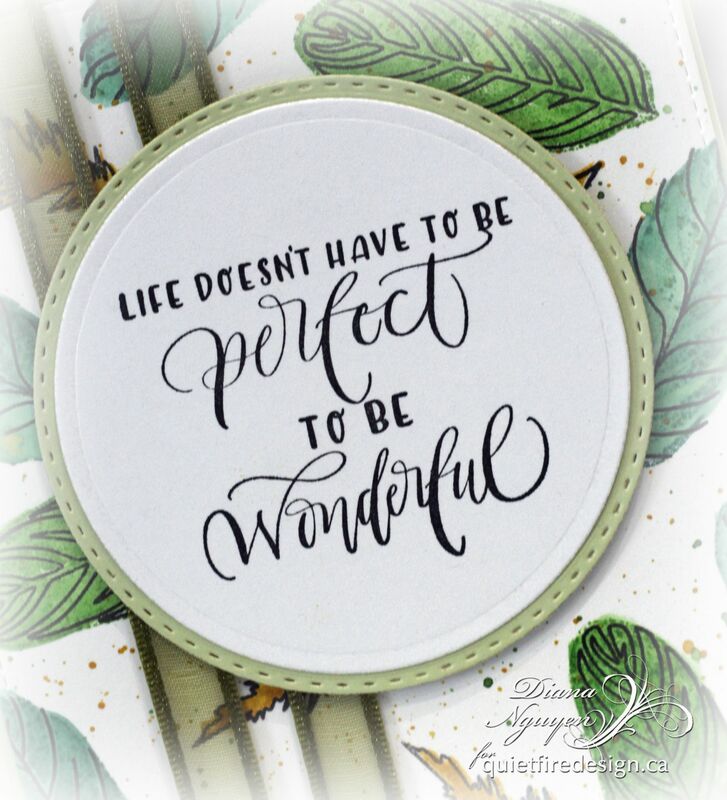 Happy Monday!!! It's Wanda here today. 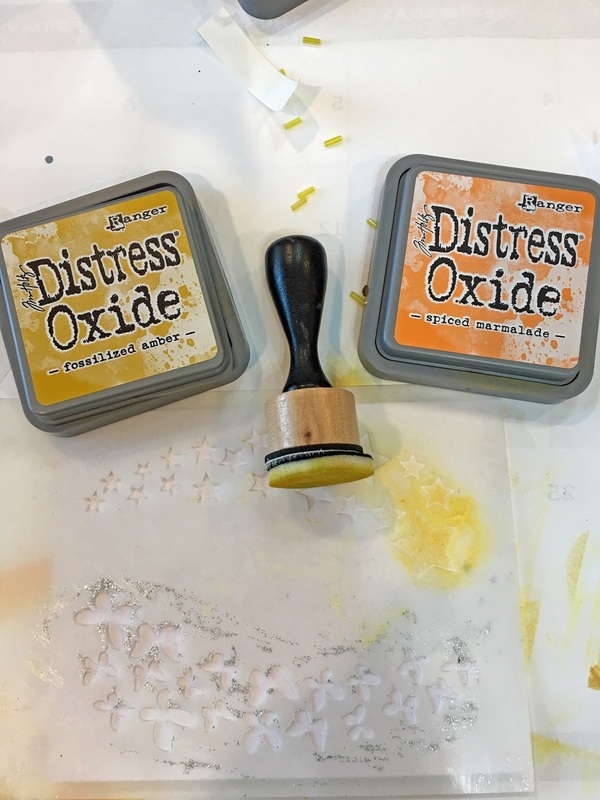 If you didn't already know, Quietfire Design has brand new stamps - Yay!!!! You can see them all HERE. 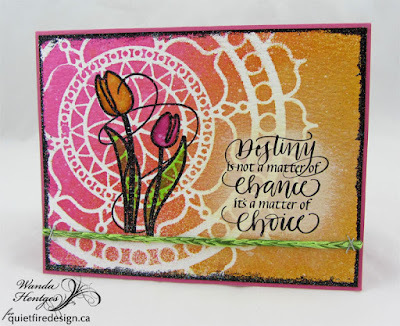 Today I'm using two of the images from the new release - Tulips and Destiny. Cut two pieces of watercolor paper 4 1/8" x 5 3/8". 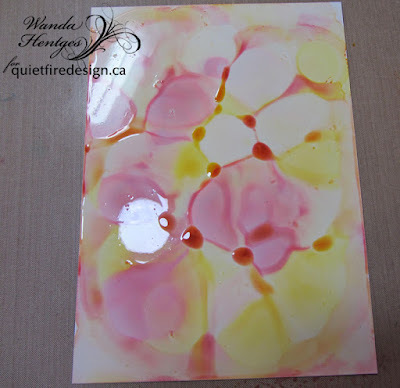 Lay a stencil (The Crafter's Workshop) on one of the pieces, spray with Distress Spray Stain (I used Picked Raspberry and Wild Honey), lift stencil from paper, flip over, place on other piece of paper, press with a paper towel, and lift stencil. You have two backgrounds that can be used. For today's card I've used the first piece and I'll keep the other piece for a future project. 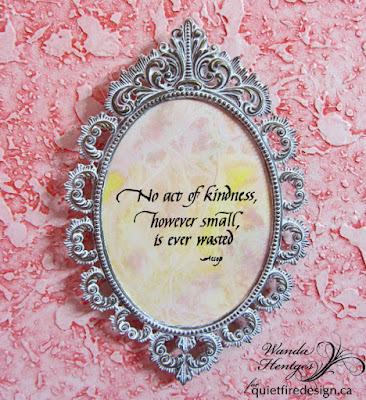 After determining my placement of stamps, I used my finger to lightly rub some white paint in the area the quote would go and then also splattered some white paint over the panel. Using a Stamp Platform the Tulips were stamped once with black ink and then again with VersaMark Ink. 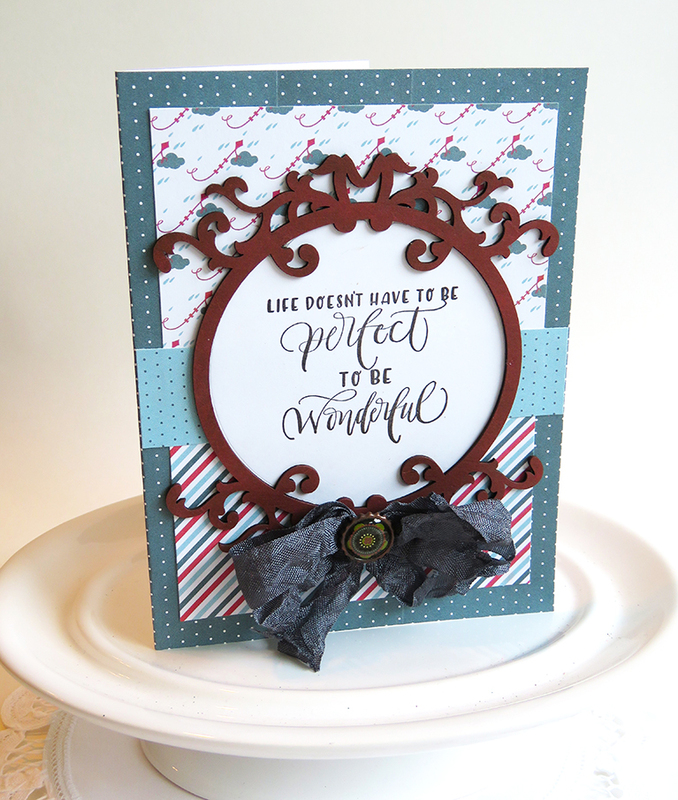 Black Sparkle Embossing Powder (Ranger) was added and melted. Color was added to the Tulips with Distress Ink and a Water Brush. Again using a Stamp Platform the quote was stamped with VersaFine Onyx Black ink repeating a few times for better coverage on the watercolor paper and to deepen the black. The edges of the panel were inked with VersaMark and embossed with Black Sparkle powder. 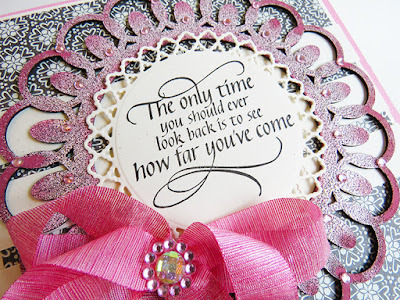 A piece of fiber is wrapped and stapled and the panel attached to a folded pink card. I found an old music sheet on a wood mounted stamp by Recollection as my background and stamped in brown, sponged with brown ink for a nice old sheet music feel. 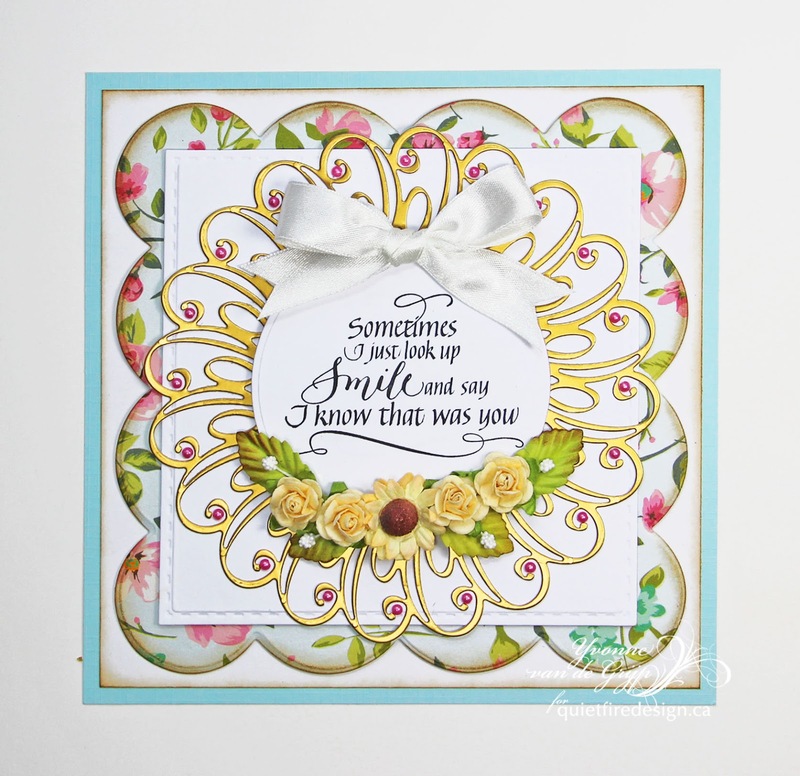 The flowers are the Sizzix wildflower dies and colored with watercolor markers. The star of the card of course is this beautiful quote framed against those elements. 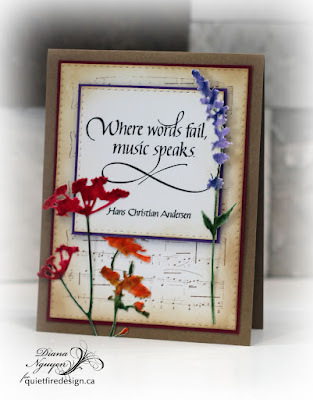 I'll be sharing another music quote card this week that is also in the What's New section of Quietfire Design website so keep your eyes open! 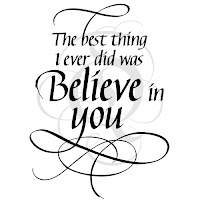 Thank you so much and hope you hear some great music today. 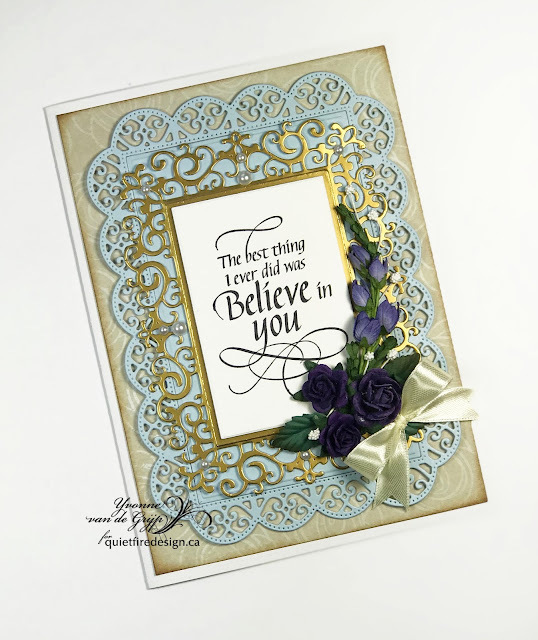 Yvonne here with a new card using the Quietfire Design stamp The Best Thing - Believe in You. 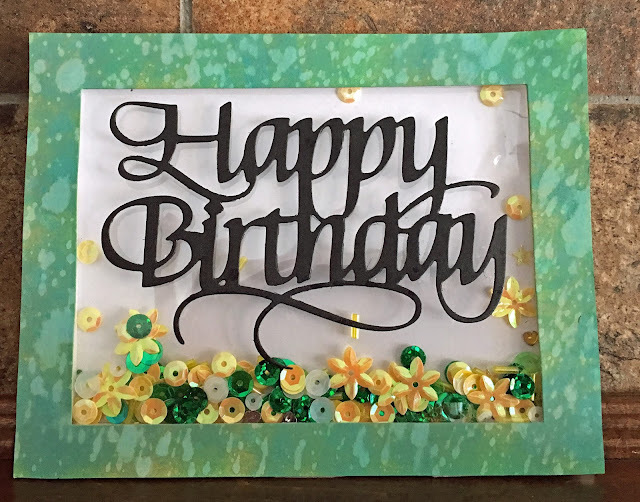 For my card I used several die-cuts and used 3D foam squares to layer them. The patterned background layer was altered with distress ink and an ink blending tool. 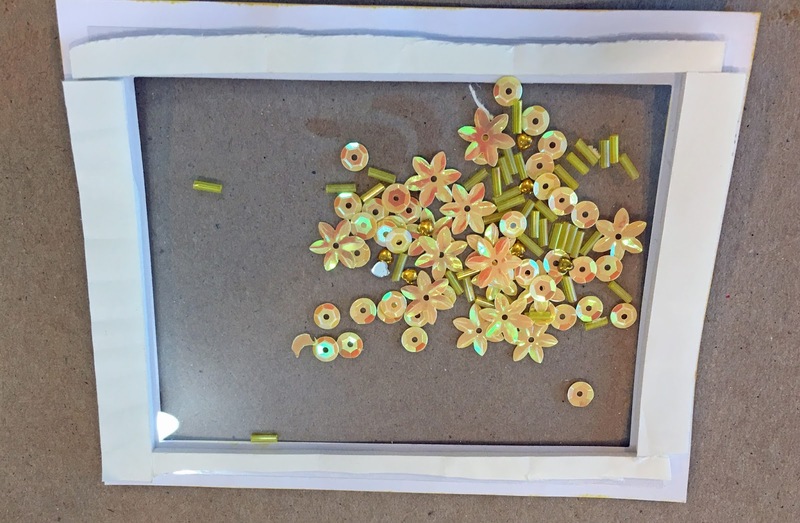 For the finishing touch some mulberry flowers, a bow and self-adhesive pearls. 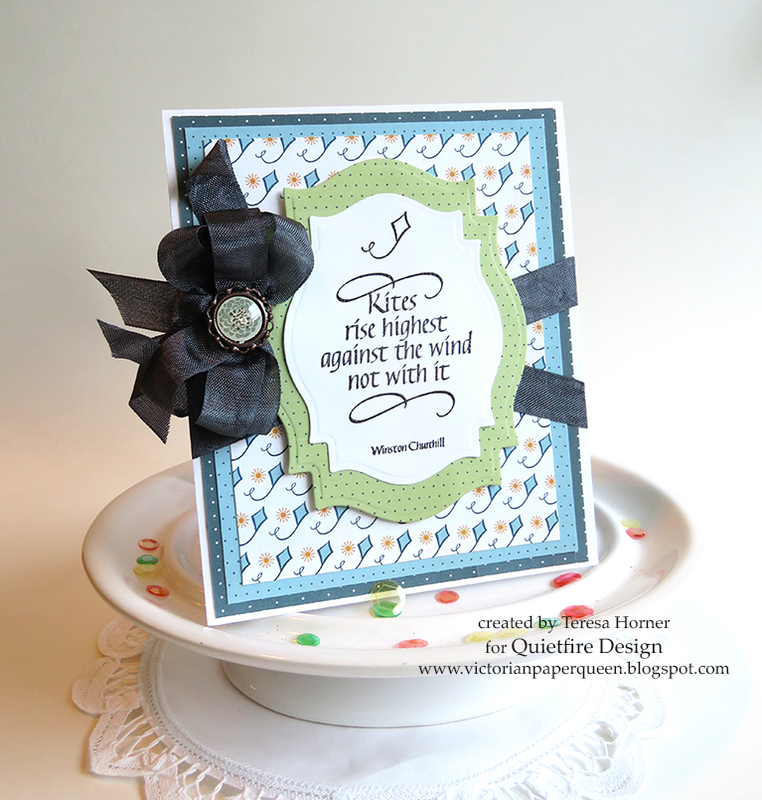 Wishing you all a happy crafty day! 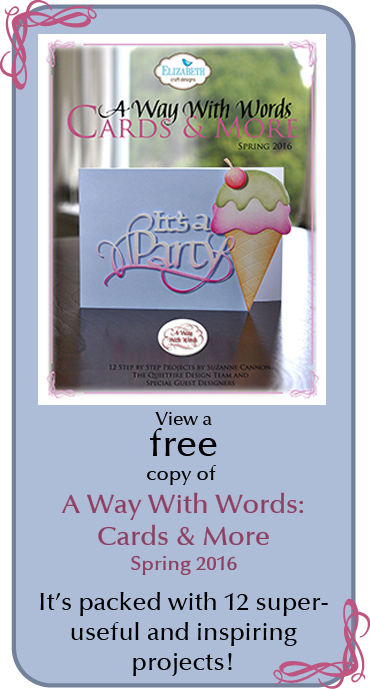 Hello, Connie Nichol here today with some simple shaker cards. 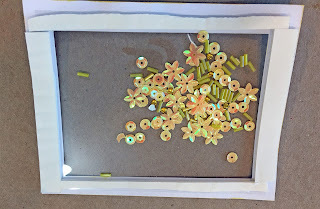 I had all sorts of sequins laying around on my craft desk, so I decided to put them to work. 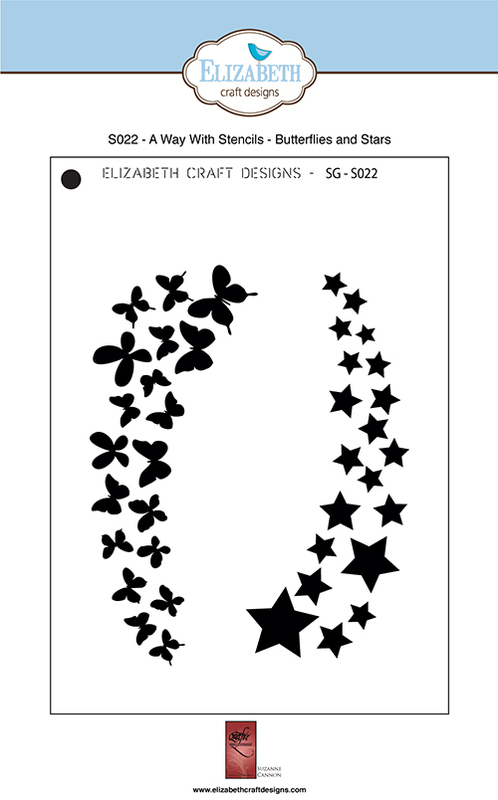 These cards are surprisingly quick and easy to put together - just get two pieces of cardstock and cut a shape out of the middle of one of the pieces (I used an Elizabeth Craft Designs rectangle die but you can certainly experiment with other shapes). 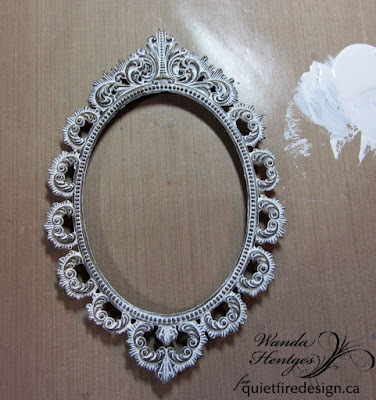 Decorate this top piece as desired - I just dabbed on some distress oxide ink and spritzed lightly with water. 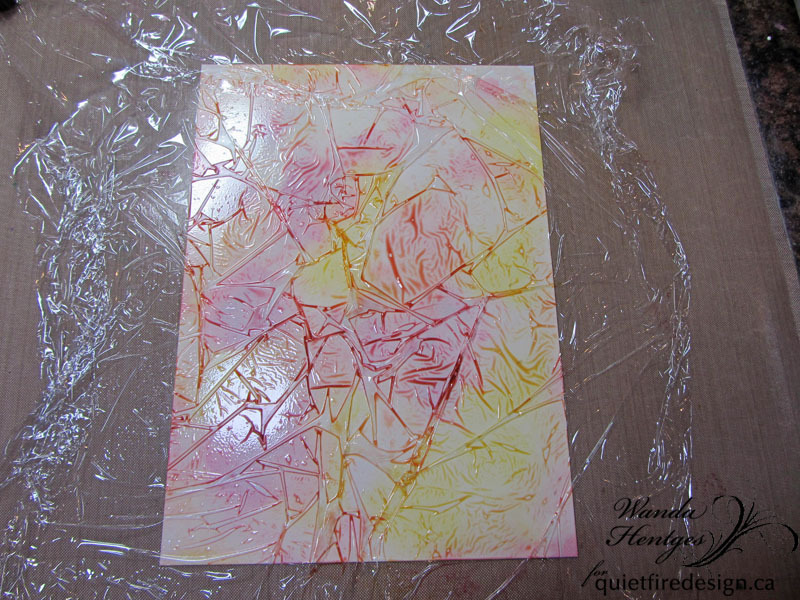 Place a piece of clear plastic film or transparency over the cut and put two sided foam tape all the way around. Add sequins or beads and then lay another piece of cardstock on to seal. 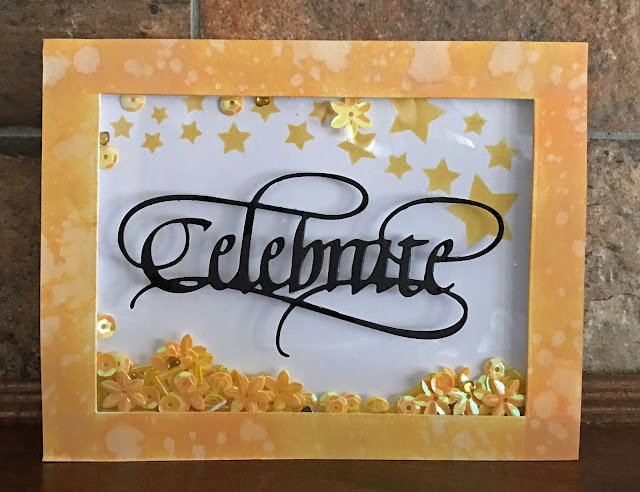 I decorated this backing piece of cardstock with a Quietfire Design star stencil on the Celebrate shaker card, but you could leave it plain, or use patterned paper, or stamp a design. The possibilities are endless. Once your shaker sandwich is put together, adhere a die cut Way with Words die of your choice onto the top of the transparency. Here's the two dies that I used - the sequins felt very festive! Hello!! It's Wanda here today to share a home decor piece using an up-cycled frame and the wonderful Quietfire Design stamp, No Act of Kindness. 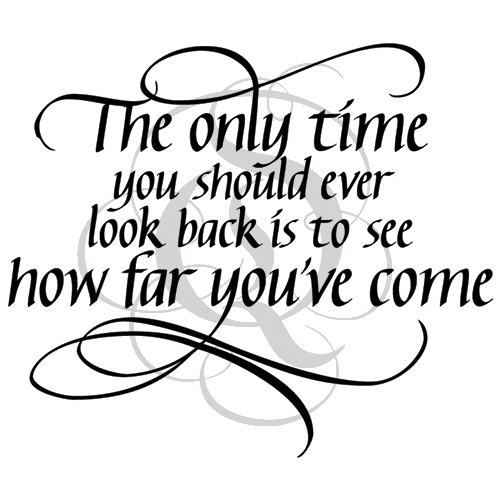 I've not done too much to this project but am letting the quote completely be the focus. 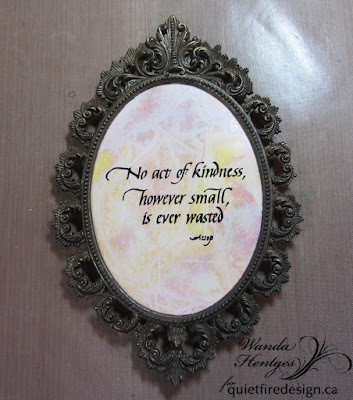 I don't remember just where I got this frame. It could have been an auction, thrift store, garage sale, or even an antique store. There are actually 2 frames but I'm just using one today. They both have a thick piece of board that fit in from the back and the back of the board is covered in felt. There were little stickers on the back that said "Made in Italy". Cool, huh. 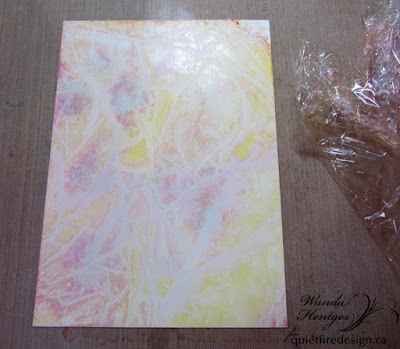 I, of course, needed to create a background :-) I chose to use Ranger Alcohol Inks and White Yupo Paper. I applied 3 colors of ink to the paper using felt and then also sprinkled on some extra drops of ink. I had a piece of plastic wrap waiting, lightly sprayed my inked paper with 90% rubbing alcohol and immediately put the plastic wrap over the paper being sure to create lots of wrinkles. Here you see the three colors I used - Peach Bellini, Lemonade, and Pink Sherbet. These are all Lights as I wanted a muted background. 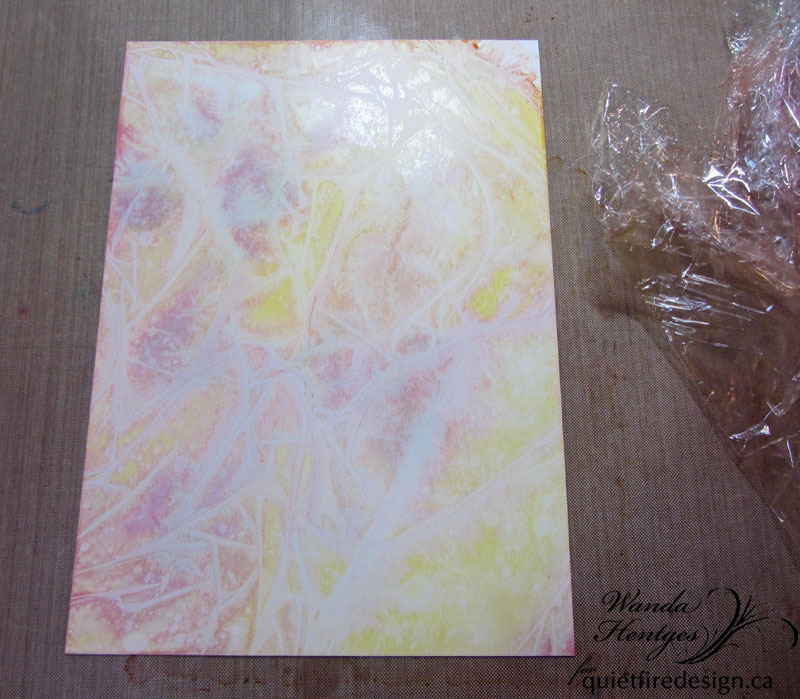 The hard part is waiting for the inks to dry completely before removing the plastic wrap. A beautiful background that looks like it has lots of texture. A stamp platform works great allowing you stamp a few times for a nice dark image over the inks. 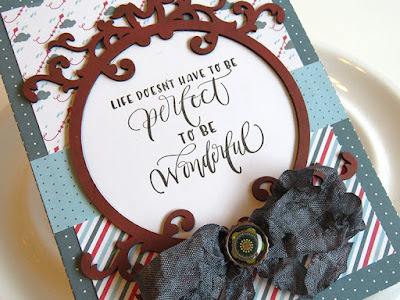 I used Ranger's Archival Ink Jet Black for stamping. Once stamped and dried I set the frame over the paper, used a clear ruler with grid lines to make sure the quote was straight in the frame, used a pencil to trace the shape and cut the paper. I could have left the frame as is, it did look good, but decided to alter it. 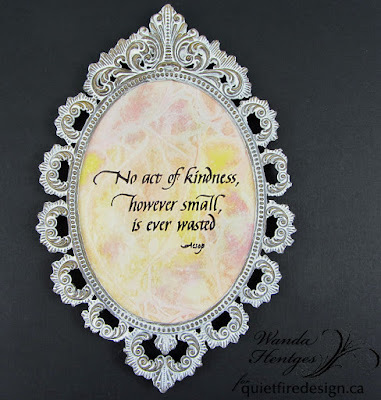 I brushed on white paint (PaperArtsy Fresco Finish Chalk Paint, color Snowflake), allowed it to dry a bit and wiped it back using a baby wipe. The picture at the top of this post is taken in a light tent against white. Here is a picture with it sitting on black cardstock taken in the tent. I thought I'd take it around the house and try a few walls. I couldn't get the wall color to look right in this picture. The paint is called Mesa Sand (Valspar) and has a more of a light earthy orange tint to it. This wall is a warm white with a red glaze over it. And here's what it would like added to a grouping in that room. And here it is on an orange wall. I haven't decided just where it will go. What do you think? 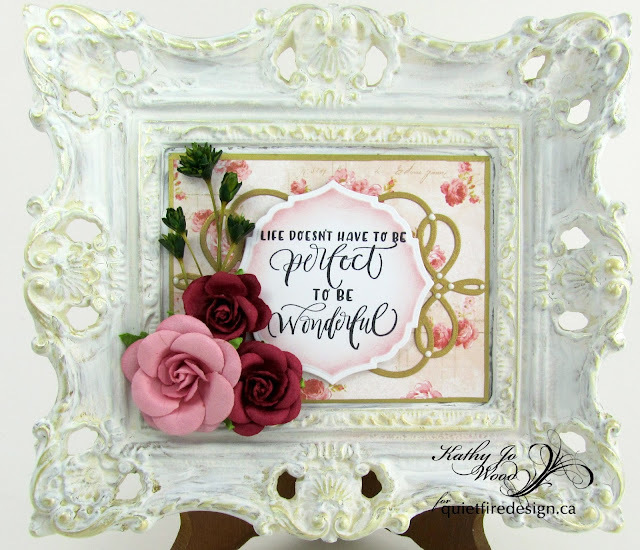 I hope you've enjoyed today's easy project!!! 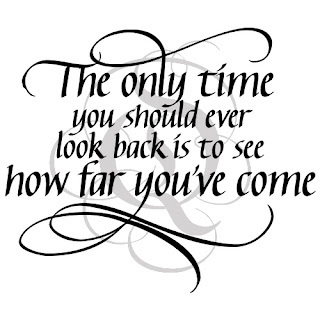 Have a good week! !